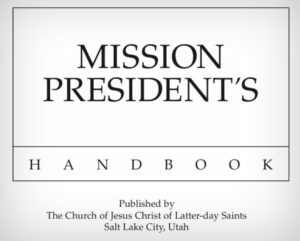 Mission presidents receive neither stipends nor any income from the LDS Church. But their expenses are paid. How could any — except the wealthiest of Latter-day Saints — afford to serve for three years without financial support? My first mission president was an accomplished attorney. The second was a train conductor. Let’s read directly from the (leaked) handbook on this topic. I found these explanations on via Google just this morning. Critics may think gotcha. 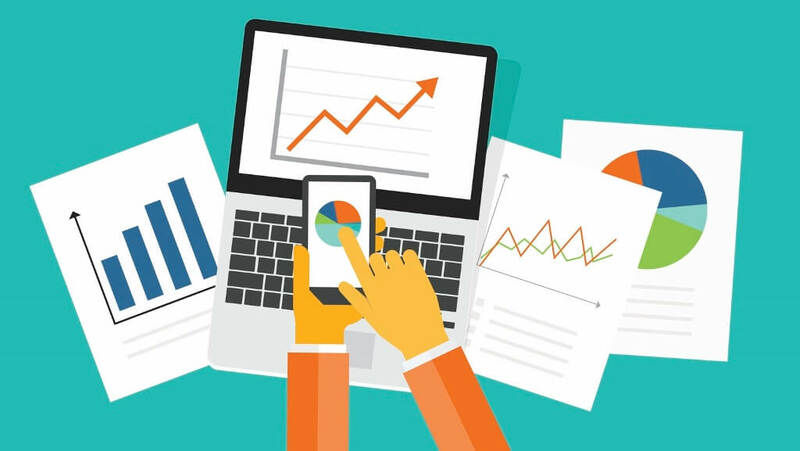 Accountants and tax attorneys see routine, sound, legal practice. Leaks only confirm what members have long believed: we’re led by honest, inspired, prudent, law-abiding individuals. Critics quibble over terms necessary and living expenses. But most such critics are neither tax attorneys nor mission presidents who left their employer for three years. More from Google. A critic scanned in the entire Mission President Handbook. Fine with me. Nothing to hide. See anything damning or controversial below? Are mission presidents getting wealthy? Nope. Only focusing on their objective: missionary work. Should the prez ride a bike? 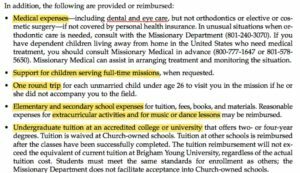 As described in detail below (quoting the IRS rulings on this topic), mission president expenses and reimbursement are not considered income. Therefore, such events, transactions, and items are not taxable. What critics suggest is “sneaky” or malevolent is nothing of the sort. Instead, it’s obviously legal, measured, and appropriate tax advice. Anyone in business, finance, and accounting see what’s in the handbook as routine. Not controversial. At all. Any surprises here? My mission president had neither a cook nor a housekeeper. I imagine the office elders helped clean. In other missions, including Latin America, employing cooks and others is more common. No income equals no tithing. Simple. These — all leaked but boring items in the handbook — are common practices by other faiths whose members serve full-time. All these practices are in line with the IRS and other countries’ tax laws. 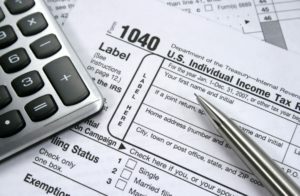 *** Don’t forget to read the comments below this tax blog. Very insightful! Thanks to Dan Peterson for providing the inspiration and many, many quotes in this post! Originally, Dan spoke out on this subject in January 2017. I saw a Facebook post on the topic this morning (9/1/17). I’ve frequently been bothered by critics’ claims relative to our leaders’ stipends. For those who don’t know, our top leaders — 108 General Authorities — are eligible for a stipend and certain benefits. I feel I’ve provided adequate, but not awesome, responses to critics on the subject. Yet, among many other details, I’ve never known what other churches pay their leaders, for example. So, I thought I’d put together a post about clergy compensation and learn a little. I learned a lot. And I’ve learned to appreciate our leaders. A lot! For starters, nobody had hid this. The 4th point in his Question and Answer talk — Why is the Church involved in commercial business of any kind? — is found at the 8:36 mark. It’s near the end of this 4th section when Pres. Hinckley mentions stipends for General Authorities. You may just want to watch the entire segment. Pres. Hinckley was an awesome and inspiring leader! Dan Peterson discusses the LDS leaders’ stipends on his blog here. Remember that in early 2017 MormonLeaks had recently shared (from a W-2 of Pres. Eyring’s) that LDS General Authorities receive a $120K/year stipend. Rather than cause great embarrassment — once I discovered what they earned (much less than comparable leaders in other faiths) — this “revelation” did more to undermine MormonLeaks’ narrative than faith in the LDS Church. 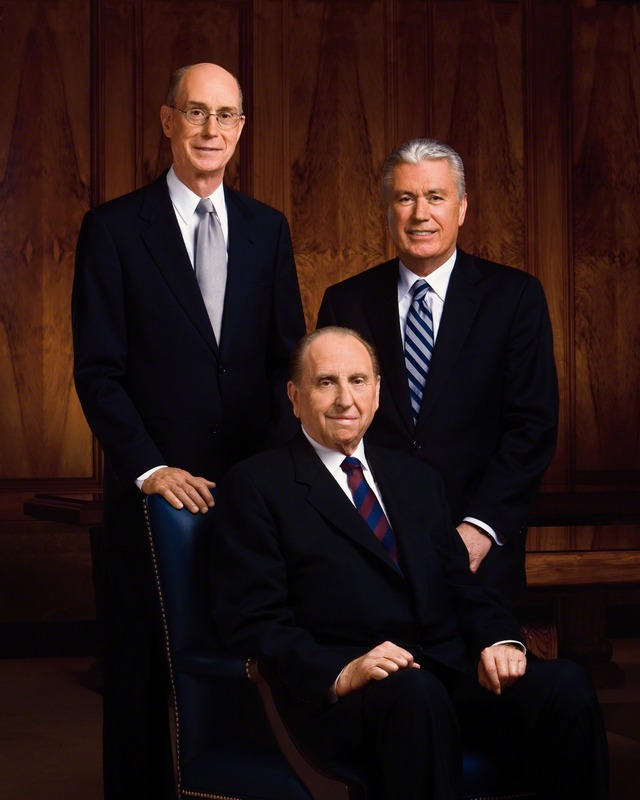 Consider, for example, the three members of the First Presidency. President Monson holds an MBA, but he was called as a full-time mission president at 31 and as an apostle at 36. Is it really to be expected that he should have lived and supported a wife and family without any income? From his very early thirties? President Eyring holds master’s and doctoral degrees in business administration from Harvard University. President Uchtdorf was Senior Vice President for Flight Operations and Chief Pilot for Lufthansa German Airlines when he was called into full-time Church service. The amount of money these men receive while serving full-time on behalf of the Church is far below their commercial-market potential. 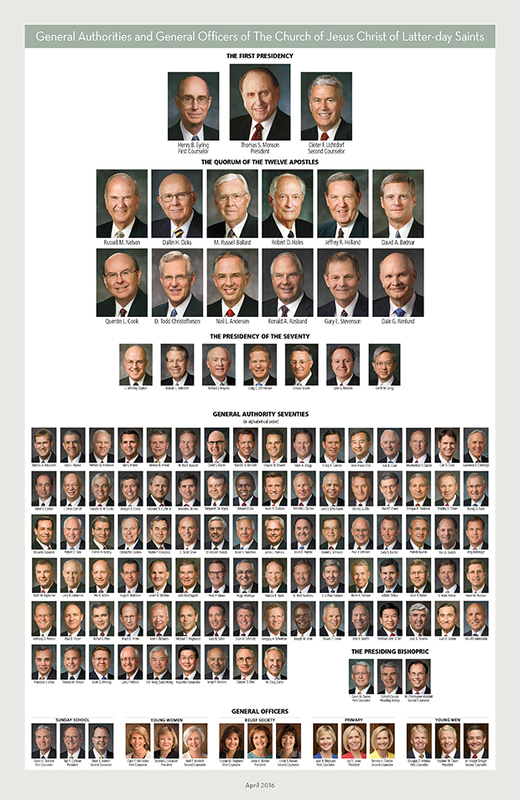 Consider, too, the members of the Quorum of the Twelve Apostles. I count two heart surgeons, three lawyers (with degrees from Chicago, Stanford, and Duke), and two Harvard MBAs. One of them holds a doctorate in organizational behavior. One, with a Yale Ph.D., was the president of a large university (as, for that matter, were two others). Three were highly successful businessmen before their call to life-long Church service. Their professional credentials are such that the stipend amounts mentioned simply aren’t that remarkable. In fact, they’re quite low. There are roughly 4000 stakes and districts in the Church, and somewhat more than 30,000 wards and branches. Let’s not even count the counselors. Let’s not count area authority seventies or scoutmasters or high councilors or Relief Society presidents or any of the other unpaid workers in the Church. That still makes something on the order or 34,000 bishops and branch and district and stake presidents. None of them are paid. Many people in non-LDS congregations serve without renumeration. But many are paid. Over 34,000 LDS leaders don’t clock in for their service. And, as explained earlier, this 34,000 figure does not include councilors or female leaders. See table above for rates of payment by position. The recession caused a drop in compensation. They were rising (and likely continued to go up) after 2011. As Peterson illustrates in his story, only 108 “top-ranking” LDS leaders are paid. Not 1 local leader. And that number — 108 — may actually be less, as at least one General Authority widow had explained (off the record) that her husband declined the stipend. 1 out of 3400 is small. So, not all serve without compensation. But virtually all. You can read the rest of Dan’s post (from 1/10/17) with the link above. On 1/19/17 Dan wrote another column on the topic here. Peterson shows us the numbers below, after being pushed by a Church critic. The completed math only undermines the critic’s position. “The math is pretty straightforward: There are roughly 34,000 LDS Area Authority Seventies, bishops, stake presidents, district presidents, and branch presidents who receive no stipend at all. At this point, we factor, say, 100 General Authorities into the mix, who receive a stipend of $120K each. 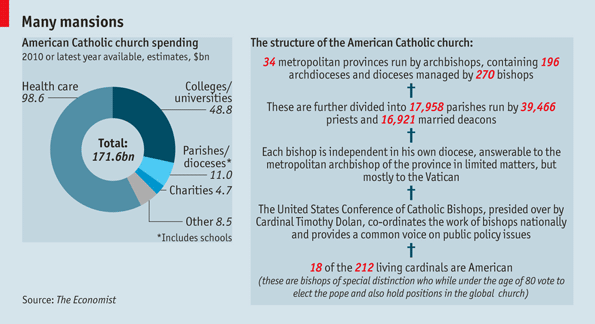 Now, we work out the average annual ecclesiastical income of all of those folks. Peterson proceeds to cite average Jewish rabbi compensation, compensation for other faiths’ leaders, and a report about excess compensation among Baptists in the past. A few images below — found by searching Google with “paid clergy in LDS Church”. Very few images included the LDS Church. These data below are only as FYI points, not meant to disparage other faiths. Health care is very expensive, especially if you’re paying for all your clergy — not only for the 108 at the top of your hierarchy. I didn’t know #4: multisite churches. 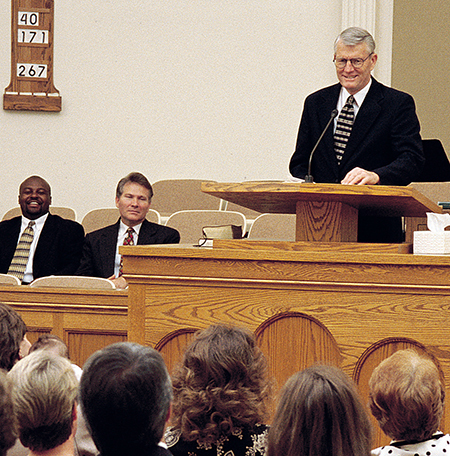 Senior pastors at megachurches earn more than LDS General Authorities ($120K vs. $147K). LDS leaders start with vast experience and never retire. They have extraordinary responsibilities for a worldwide church. Franklin Graham is the late Billy Graham’s son. 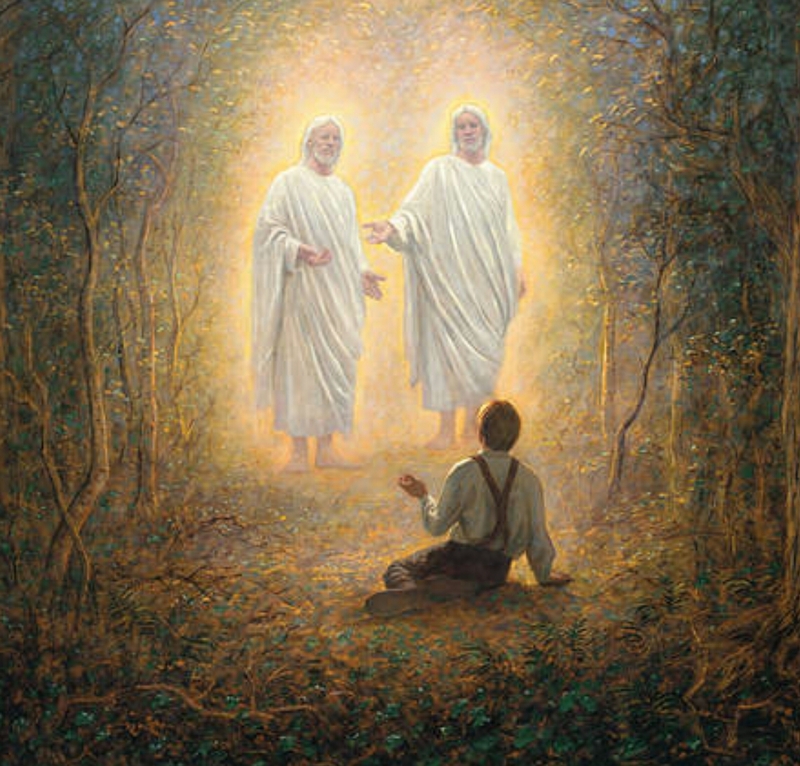 Comparing apples to apples — LDS bishops to pastors — the difference is obvious. Local LDS leaders are not paid. Over 34,000 (not including counselors or female leaders) receive no compensation. The compensation for the average pastor is $89K — not too far from the $120K the top-108 LDS leaders are eligible for. However, the top leaders of non-LDS faiths generally earn much more than the $89K pastor and $120K LDS average. Compensation at churches that are above average. This compensation almost always exceeds the stipend of our 108 General Authorities. I believe our LDS General Authorities get health care and possibly other benefits. So do most full-time senior pastors. Our 34,000 lay leaders get none of the below, unless they do in their private employment. I find these tables fascinating. I admire those who serve in other churches. And I find it wonderful Latter-day Saints step in to fill roles in their church. Often lacking ideal training. We learn as we go and do our best. Graham is a wonderful person and leader. But it’s clear from the numbers he gets much, much more from his organization than LDS leaders do. And that’s their choice. He’s highly valued, and the board rewards him for that value. Don’t take a clerical job in UT or WY. LDS pay may factor into these states. A megachurch in SLC still will probably be awesome. All the surrounding LDS bishops, however, pull down the mean wage. Mars Hill is a great place to attend and pastor. By the way, I’m simply moving from image to image on Google. Most of the images are enlightening relative to salaries among churches. Mars Hill and Pastor Mark simply was next in line, so I posted it. I thought I’d look up Pastor Mark and found a sad story: The Rise and Fall of Mars Hill Church. Most churches build themselves upon a much stronger foundation. People are most important. 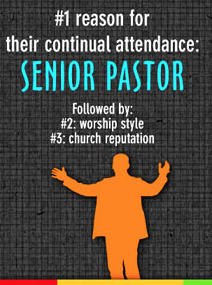 And senior pastors are dedicated to their flock. Growth appears to come in part from satellites. I’m only posting what comes up on Google. Happy Birthday! Mixing religion and politics isn’t always good. More lay involvement. That’s a good thing. 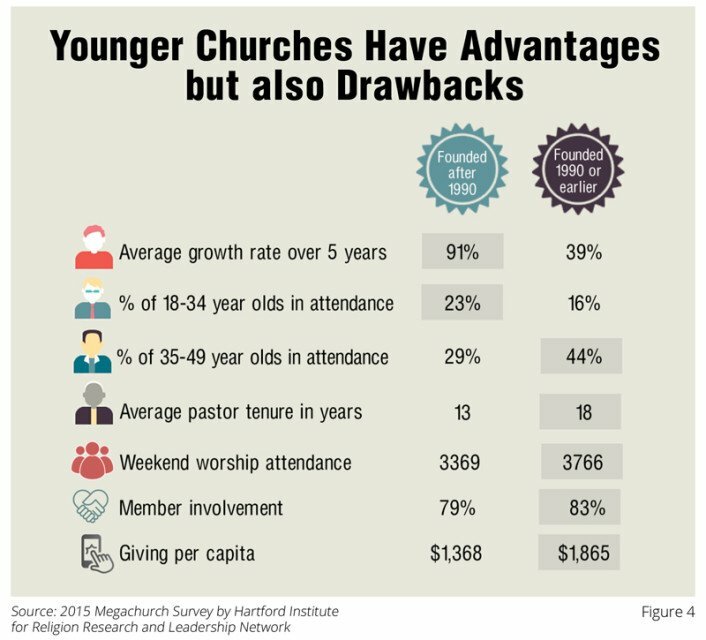 More growth and younger crowds in new churches, but attendees give less. Whew! Most of the rest of the images weren’t too interesting or were extremely unfair. I’ll get back to the article now: LDS leaders — the 108 who get paid among 34,000 serving — get modest compensation relative to their peers. I’m very grateful for their service. Read the entire article. Peterson is entertaining! 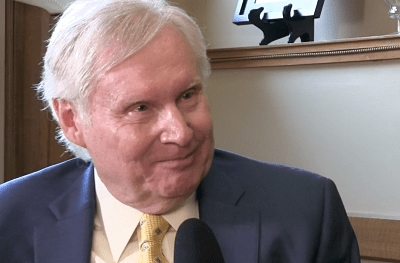 Dan provided another update on the topic of LDS leaders’ stipends today. “A critic pointed out, quite correctly, that my generous estimate that 1/3400 of Mormon clergy receive a living stipend is greater than zero. I readily grant this. I’ve never made a big issue out of the fact that clergy in other denominations receive compensation. I really couldn’t care less. But I do think it absurd to say that, because 1/3400 of Mormon “clergy” receive (relatively modest) living stipends, we’re lying when we say that we have an unpaid clergy. Overwhelmingly, we do. “Arsenic typically occurs in rice and in water. Usually only in trace amounts. Since you insist on absolute zero, though, you should probably accuse your local Chinese restaurants of serving rice laced with arsenic and charge your local water company with poisoning its customers. The case of the unpaid General Authority. The Church doesn’t report the number of General Authorities who don’t accept a stipend. Ironically, MormonLeaks hasn’t searched for that statistic. “Finally, a few months back, I had a conversation on this matter (at her initiative, since, as it turns out, she was aware of my blog posts above) with the widow of a General Authority. She told me that, when he was called to full-time service, President Hinckley asked him whether he would need compensation in order to be able to devote himself to such a calling. He had been a successful businessman, and he responded No, that he would be able to serve without a living stipend. Good, said President Hinckley. And so he served without any compensation. She told me that she didn’t know the financial situations of most of her husband’s fellow General Authorities, but that, as it happened, she was aware of several who, like her husband, were serving at their own expense, not drawing on the money that they could have drawn from the Church. We are led by capable people who — if they accept the stipend — get paid on average far less than their peers at national and international churches. They serve with love and great dedication. His number shows that 3.1 Latter-day Saints out of every 1000 serving get paid. But Dan didn’t include counselors, RS, YM/YW, etc. His figure is super low. I’ll use our ward as an example below of just how many Latter-day Saints are actually serving without compensation. Our ward has 2 additional bishopric members (Dan only counted the Bishop), 10 RS leaders, 10 YM leaders, 6 YW leaders, 20 primary leaders, 2 Cub Scout leaders, 5 Sunday School leaders, 4 High Priest leaders, 5 EQ leaders. I’ll stop there, though I could count librarians, organists, choir directors and others that get paid in other U.S. congregations. Dan Peterson counted only 1 leader per ward. I have a total of 64 serving with no compensation, in addition to the Bishop. So the total is 65 serving for no $ in our ward. Our ward is big. Probably slightly above average in the U.S. and Canada. But it’s not as big as many wards. So, I’ll reduce the number to 30 to better represent the average ward/branch worldwide. And this is itself likely an underestimate. But I prefer that instead of a number that is bigger than reality. So, Dan Peterson’s number — 0.00317647058 or 3.1 per 1000 getting paid — is likely at least 30 times larger than it should be. That is, at least 30 times more people are serving in the LDS Church than his numbers show. And this, as I said, is itself a gross underestimate. This new number is much lower than Dan’s original (intentionally low-balled) figure, but is still itself an underestimate. So, less than 1 out of every 10,000 members gets paid. That’s even closer to zero. Do we have a paid ministry? Yes. To be precise, we do. The same way that rice has traces of arsenic. But 108 people getting a stipend is small relative to over 1,000,000 serving without compensation. Effectively, we have no paid ministry. Certainly, nothing like paid ministries in other faiths. 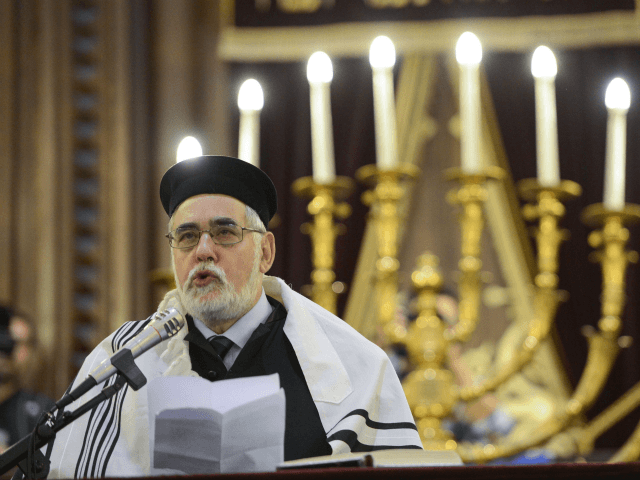 How many faiths would change today from their system to ours? That is, how many churches would shift to only pay 108 at the top? And nobody else? How many would get 9,999 volunteers for every 1 paid clergy? The LDS Church has a culture of sacrifice and service I’m not seen anywhere else! Update on 10/18/17: Michael Quinn recently wrote a favorable book on the topic and was featured in the Salt Lake Tribune.